Van Kersbergen, Kees & Barbara Vis (2016), De Verzorgingsstaat (The Welfare State), Amsterdam University Press, series Elementaire Deeltjes. Van Kersbergen, Kees & Barbara Vis (2014), Comparative Welfare State Politics: Development, Opportunities, and Reform. Cambridge University Press. You can find reviews of my book here, incl. a recently published one by Marek Naczyk in Czech Sociological Review. Vis, Barbara (2008), Biting the Bullet or Steering Clear? Politics of (Not-) Unpopular Welfare State Reform in Advanced Capitalist Democracies. Ph.D. Dissertation, Faculty of Social Sciences, VU University Amsterdam. Enschede: PrintPartners Ipskamp. [new] Brugman, Britta, Christian Burgers & Barbara Vis (in press), ‘Metaphorical Framing in Political Discourse through Words vs. Concepts: A Meta-Analysis’, Language and Cognition (accepted for publication). [new] Dul, Jan, Barbara Vis & Gary Goertz (in press), ‘Necessary Condition Analysis (NCA) Does Exactly What It Should Do When Applied Properly: A Reply to a Comment on NCA’, Sociological Methods & Research, doi: 10.1177/0049124118799383 (OnlineFirst) (editor reviewed). [new] De Block, Debora & Barbara Vis (in press), ‘Addressing the Challenges Related to Transforming Qualitative into Quantitative Data in Qualitative Comparative Analysis’, Journal of Mixed Methods Research, doi: 10.1177/1558689818770061 (EarlyView, Open access). [new] Vis, Barbara (2019), ‘Heuristics and Political Elites’ Judgment and Decision Making’, Political Studies Review, 17(1): 41-52 (Open access). Van der Velden, Mariken, Gijs Schumacher & Barbara Vis (2018), ‘Living in the Past or Living in the Future? Analyzing Parties’ Platform Change In-between Elections, The Netherlands 1997 – 2014′, Political Communication, 35(3): 393-412. Vis, Barbara & Dieuwertje Kuijpers (2018), ‘Prospect Theory and Foreign Policy Decision-making: Underexposed Issues, Advancements, and Ways Forward’, Contemporary Security Policy, 39(4): 575-589 (Open access). Linde, Jona & Barbara Vis (2017), ‘Do Politicians Take Risky Decisions Like the Rest of Us? An Experimental Test of Prospect Theory under MPs’, Political Psychology, 38(1): 101-117 (Open access). Reform’, Journal of Comparative Policy Analysis: Research and Practice, 18(2): 122-137. Schumacher, Gijs, Marc van der Wardt, Barbara Vis & Michael Baggesen Klitgaard (2015), ‘How aspiration to office conditions the impact of government participation on party platform change’, American Journal of Political Science, 59(4): 1040-1054. Van Kersbergen, Kees & Barbara Vis (2015). ‘Three Worlds’ Typology: Moving Beyond Normal Science?’, Journal of European Social Policy, 25(1): 111-123. Van Kersbergen, Kees, Barbara Vis & Anton Hemerijck (2014), ‘The Great Recession and Welfare State Reform: Is Retrenchment Really the Only Game Left in Town?’, Social Policy & Administration, 48(7): 883-904. Vis, Barbara & Kees van Kersbergen (2013), ‘Towards an Open Functional Approach to Welfare State Change: Pressures, Ideas, and Blame Avoidance’, Public Administration 91(4): 840-854. Vis, Barbara & Tom Hylands (2013), ‘Fat Government, Thin Populace? Is the Growth of Obesity Prevalence Lower in More Generous Welfare States?’, International Journal of Social Welfare, 22(4): 360-373. Schumacher, Gijs, Catherine de Vries & Barbara Vis (2013), ‘Why Do Parties Change Position? Party Organization & Environmental Incentives’, The Journal of Politics, 75(2): 464-477. Vis, Barbara, Jaap Woldendorp & Hans Keman (2013), ‘Examining Variation in Economic Performance Using Fuzzy-Sets’, Quality & Quantity, 47(4): 1971-1989. Hollanders, David & Barbara Vis (2013), ‘Voters’ Commitment Problem and the Timing of Welfare-Program Reforms’, Public Choice, 155(3-4): 433-448 (open access). Schumacher, Gijs, Barbara Vis & Kees van Kersbergen (2013), ‘Political Parties’ Welfare Image, Electoral Punishment and Welfare State Retrenchment’, Comparative European Politics, 11(1): 1-21. Schumacher, Gijs & Barbara Vis (2012), ‘When Do Social Democrats Retrench the Welfare State?’, Journal of Artificial Societies and Social Simulation, 15(3): 1-12. Vis, Barbara (2012), ‘The Comparative Advantages of fsQCA and Regression Analysis for Moderately Large-N Analyses’, Sociological Methods and Research, 41(1): 168-198. Vis, Barbara, Jaap Woldendorp & Hans Keman (2012), ‘Economic Performance and Institutions: Capturing the Dependent Variable’, European Political Science Review, 4(1): 73-96. Vis, Barbara (2011), ‘Prospect Theory and Political Decision-making’, Political Studies Review, 9(3): 334-343. Vis, Barbara, Kees van Kersbergen & Tom Hylands (2011), ‘To What Extent Did the Financial Crisis Intensify the Pressure to Reform the Welfare State?’, Social Policy & Administration, 45(4): 338-353. Vis, Barbara (2009), The Importance of Socio-Economic and Political Losses and Gains in Welfare State Reform, Journal of European Social Policy, 19(5): 395-407 [web appendix]. Vis, Barbara (2009), Governments and Unpopular Social Policy Reform: Biting the Bullet or Steering Clear?, European Journal of Political Research, 48(1): 31-57. Vis, Barbara (2008), The Direction and Scope of Social Policy Change: Regime Specific or Radical Shift Towards Workfare?, Journal of Comparative Policy Analysis, 10(2): 151-169. 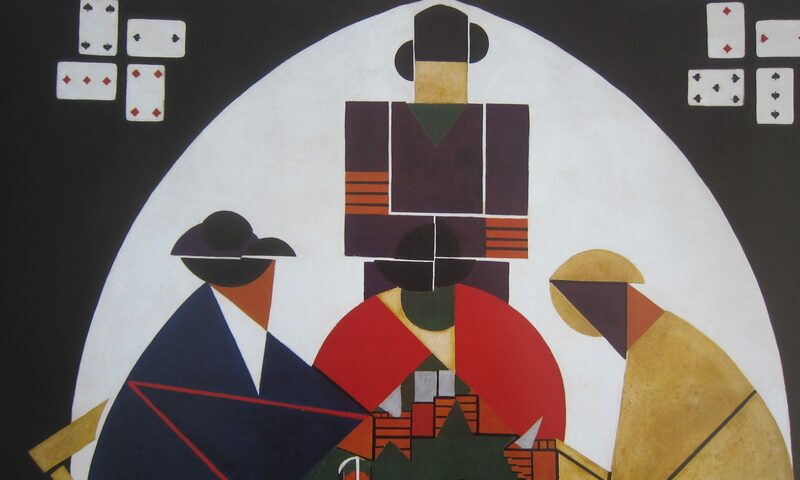 Ending Puzzle, Acta Politica , 43(2-3): 333-356. Vis, Barbara, Jaap Woldendorp & Hans Keman (2007), Do Miracles Exist? Analyzing Economic Performance Comparatively, Journal of Business Research, 60(5): 531-538. Vis, Barbara & Kees van Kersbergen (2007), Why and How Do Political Actors Pursue Risky Reforms?, Journal of Theoretical Politics, 19(2): 53-172. Vis, Barbara (2007), States of Welfare or States of Workfare? Welfare State Restructuring in 16 Advanced Capitalist Democracies, 1985-2002, Policy & Politics, 35(1): 105-122 [additional tables]. Andeweg, Rudy & Barbara Vis (2015) (eds. ), Politicologie in Nederland: Van Politisering naar Professionalisering (Political Science in the Netherlands: From Politics to Professionalism), Oudewater: NKWP. Vis, Barbara (2018 forthcoming), ‘How to Analyze Welfare States and their Development?’, in: Bent Greve (eds. ), The Routledge Handbook of the Welfare State (2nd edition). London and New York: Routledge. Van Kersbergen, Kees & Barbara Vis (2017), ‘Algemeen Kiesrecht en de Verzorgingstaat’ (Universal Suffrage and the Welfare State) in Monique Leyenaar & Rudy Andeweg (eds. ), 100-jaar Algemeen Kiesrecht in Nederland (100-year Universal Suffrage in the Netherlands). Amsterdam: Amsterdam University Press, pp. 185-203. Vis, Barbara (2017), ‘Prospect Theory’, in Fathali Moghaddam (ed. ), The SAGE Encyclopedia of Political Behavior, Sage, pp. 670-672. Vis, Barbara (2015), ‘Hans Daalder: Over de Invloed van het Totalitarisme, Inspiratie in en uit het Buitenland, en Biografieen’, in Rudy Andeweg & Barbara Vis (eds. ), Politicologie in Nederland: Van Politisering naar Professionalisering (Political Science in the Netherlands: From Politics to Professionalism), Oudewater: NKWP, pp. 7-12. Vis, Barbara (2015), ‘Andries Hoogerwerf: De Politicologie als Verruimer van de Horizon’, in Rudy Andeweg & Barbara Vis (eds. ), Politicologie in Nederland: Van Politisering naar Professionalisering (Political Science in the Netherlands: From Politics to Professionalism), Oudewater: NKWP, pp. 13-18. Vis, Barbara & Jaap Woldendorp (2015), ‘Same as it Ever Was? The (Lack of) Influence of European Integration on Corporatism in the Low Countries’. 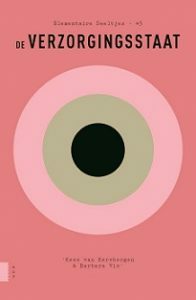 In: Hand Vollaard, Jan Beyers & Patrick Dumont (eds. ), European Integration and Consensus Politics in the Low Countries. London: Routledge, pp. 155-172. Fundamental Research for the Public Cause?! When to Take Impopular Measures and How to Get Away with it), in: van Genugten, Marieke, Honingh, Marlies & Trommel, Willem (eds. ), Passie voor de Publieke Zaak (Passion for the Public Cause). Den Haag: Boom Lemma, pp. 19-36. Vis, Barbara (2013), ‘How to Analyse Welfare States and their Development?’, in: Bent Greve (ed. ), International Handbook of the Welfare State. London and New York: Routledge, pp. 274-282. Vis, Barbara (2011), Hervormingsbereidheid en Electoraal Risico (Willingness to Reform and Electoral Risk), in: Michiel Blom and Dirk Scheele (eds. ), Het Profijt van Solidariteit: Draagvlak voor Herziening in het Stelsel van Werk en Inkomen (The Value of Solidarity: Support for Revisions in the System of Work and Income). The Hague: Ministry of Social Affairs and Employment, pp.120-127. Vis, Barbara (2010), ‘Political Economy, Comparative’, in: George T. Kurian, James E. Alt, Simone Chambers, Geoffrey Garrett, Margaret Levi & Paula D. McClain (eds. ), The Encyclopedia of Political Science. CQ Press, pp.1249-1250. Keman, Hans, Kees van Kersbergen & Barbara Vis (2006), Political Parties and New Social Risks: The Double Backlash against Social Democracy and Christian Democracy, in: Klaus Armingeon and Giuliano Bonoli (eds), The Politics of Post-Industrial Welfare States: Adapting Post-War Social Policies to New Social Risks. London and New York: Routledge, pp.27-51. Kees van Kersbergen & Barbara Vis (2006), Staat, Macht en Sociale Politiek: De Opbouw, Groei en Hervorming van de Nederlandse Welvaartsstaat, in: Uwe Becker and Philip van Praag (eds), Politicologie. Basisthema’s & Nederlandse Politiek . Apeldoorn, Antwerpen: Het Spinhuis, pp.296-321. Stolwijk, Sjoerd & Barbara Vis (2018), ‘Political Decision Making and the Availability Heuristic’, Paper prepared for the 76th Annual MPSA Conference, Chicago, United States, 5-8 April. Stolwijk, Sjoerd & Barbara Vis (2017), ‘Do Politicians Use the Representativeness Heuristic?’, Paper presented at the NIG Annual Work Conference, Maastricht, the Netherlands, 9-10 November. Schneider, Carsten, Barbara Vis & Kendra Koivu (2017), ‘Algorithmic Analytic Approaches, Especially Qualitative Comparative Analysis’, Report for the Qualitative Transparency Deliberations, Prepared for the APSA 2017 Annual Meeting, San Francisco, United States, 31 August-3 September. Vis, Barbara & Sjoerd Stolwijk (2017), ‘Using Elites to Study Elite Decision Making: Opportunities and Pitfalls’, Paper Prepared for the ECPR General Conference, Oslo, Norway, 6-9 September. Also presented at the Dutch/Flemish Politicologenetmaal, Leiden, the Netherlands (June 2017) and at the ISPP Annual Meeting, Edinburgh, Scotland (June-July 2017). Vis, Barbara (2017), ‘Welfare State Ideal Types in a European Social Market Economy’, Paper prepared for the workshop “Conceptualizing a European Social Market Economy”, Utrecht, the Netherlands (9-10 February 2017). [new] Schneider, Carsten, Barbara Vis & Kendra Koivu (2019), ‘Set-Analytic Approaches, Especially Qualitative Comparative Analysis (QCA)’, American Political Science Association Organized Section for Qualitative and Multi-Method Research, Qualitative Transparency Deliberations, Working Group Final Reports, Report III.4 . Available at SSRN. [new] Schneider, Carsten, Barbara Vis & Kendra Koivu (2019),’ Summary: Set-Analytic Approaches, Especially Qualitative Comparative Analysis (QCA)’. American Political Science Association Organized Section for Qualitative and Multi-Method Research, Qualitative Transparency Deliberations, Working Group Final Reports, Report III.4S . Available at SSRN. De Block, Debora & Barbara Vis (2017), ‘Addressing the Challenges in Using Qualitative Data in Qualitative Comparative Analysis’, COMPASSS Working Paper, no. 2017-88. Available here. Linde, Jona & Barbara Vis (2017), ‘The Uncertainty of Welfare Retrenchment’s Electoral Consequences’, DaWS Working Paper Series, 2017-1. Available here. Vis, Barbara (2014), ‘Nik Brandal, Oivind, Bratberg and Dag Einar Thorsen, The Nordic Model of Social Democracy, Basingstoke, Palgrave Macmillan, 2013’, West European Politics, 37(5), 1191-1192. Hemerijck, Anton, Verena Draebing, Barbara Vis, Moira Nelson & Menno Soentken (2013), ‘European Welfare States in Motion’, NEUJOBS Working Paper, D5.2/March 2013 (refereed). Koole, Karin & Barbara Vis (2012), ‘Working Mothers and the State: Under Which Conditions do Governments Spend Much on Maternal Employment Supporting Policies?’, COMPASSS WP Series, 2012-71 (refereed). Vis, Barbara (2012), ‘Politieke Barrieres op de Weg naar een Sociale Investeringsagenda’ (The Road to a Social Investment Agenda is Filled with Political Hurdles), B & M: Tijdschrift voor Politiek, Beleid en Maatschappij, 39(3): 354-356. Vis, Barbara (2011), ‘Is het Ontduiken van Schuld een Spel?’ (Is Blame Avoidance a Game? ),B & M: Tijdschrift voor Politiek, Beleid en Maatschappij , 38(3): 360-365 (book review essay). Vis, Barbara (2011), ‘De Crisis: Redder van de Verzorgingsstaat? !’ (The Crisis Recues the Welfare State?! )’, Talmalezing 2011, Faculty of Social Sciences, VU University Amsterdam. Schumacher, Gijs & Barbara Vis (2010), ‘To Retrench or Not to Retrench: A Simulation of the Strategic Situation of Social Democratic Parties and the Emergence of Welfare State Retrenchment’, Working Paper Department of Political Science, VU University Amsterdam, No. 27 (2010/01). Hollanders, David & Barbara Vis (2009), Voters’ Commitment Problem and Welfare-Program Reforms, CentER Discussion Paper, No. 2009-93. Koole, Karin & Barbara Vis (2009). Verplicht Schoffelen Hoeft Alleen bij Lage Werkloosheid, Kennislink, 14 January 2009. 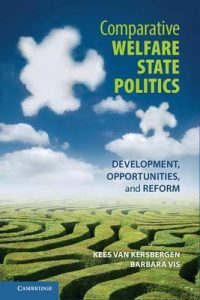 Barbara (2009), Peter Starke, Radical Welfare State Retrenchment: A Comparative Analysis, Basingstoke: Palgrave Macmillan, 2008, Journal of European Social Policy, 19(1): 93-94 (book review). Van Kersbergen, Kees & Barbara Vis (2007), Verbinden als Machtspolitieke Opdracht, B & M: Tijdschrift voor Politiek, Beleid en Maatschappij, 34(2): 99-102. Vis, Barbara (2006), Francis G. Castles, The Future of the Welfare State. Crisis Myths and Crisis Realities, Oxford/New York: Oxford University Press, 2004, Acta Politica, 41(4): 464-468 (book review). Vis, Barbara (2006), States of Welfare or States of Workfare? A Fuzzy-Set Ideal Type Analysis of Major Welfare State Restructuring in Sixteen Advanced Capitalist Democracies, 1985-2002, Compasss Working Paper, No. 2006-42.